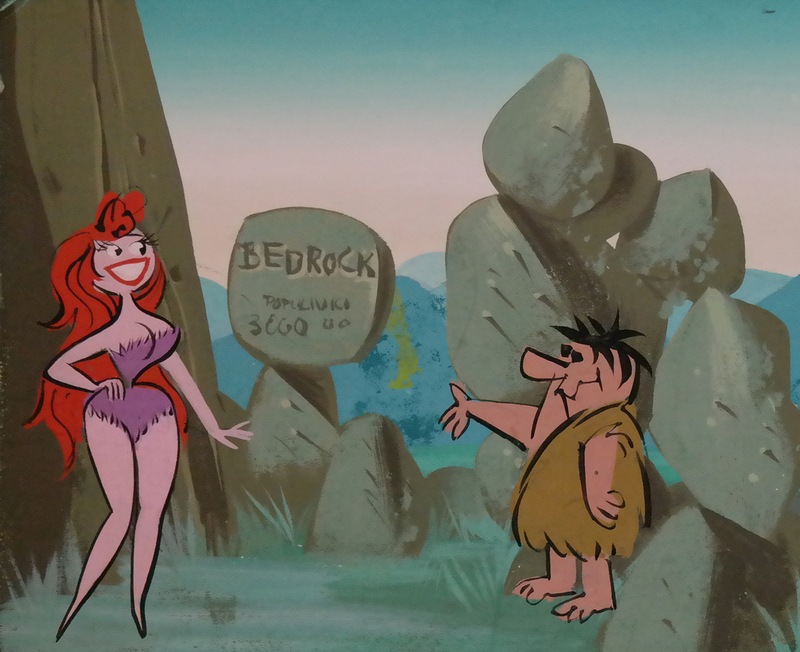 This is a fantastic original concept painting featuring Fred Flintstone and a woman that appears to be Ann-Margrock. It is hand painted, and the overall image measures 6" x 14". It is a rarity to find concept artwork from this show, and this particular imagery is exceptionally delightful with the pressence of a guest star from the episode.